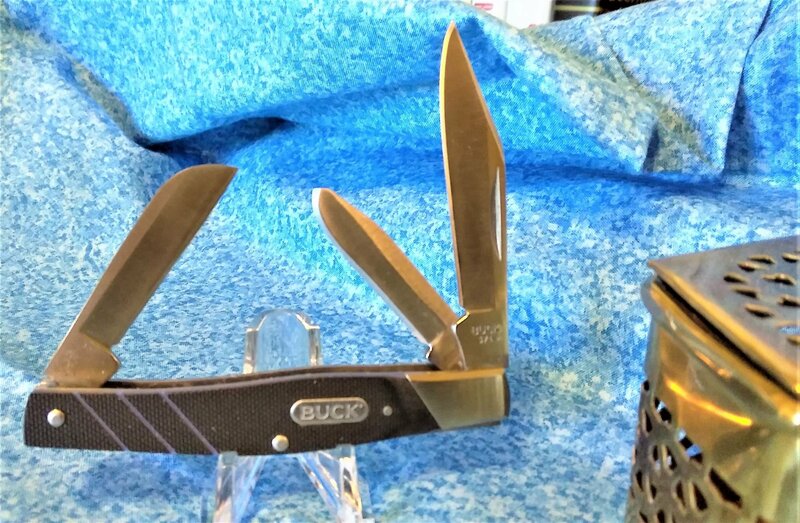 Buck - 3 Blade Stockman: Stainless Steel blade. Handle: G10 high-pressure fiberglass laminate w/Blue Accents & Stainless Steel Bolsters. Made in China 2014.